Tatami are straw mats which cover the floor of Japanese rooms. They are usually rectangular in shape and are made of tightly woven rush grass with the edges hemmed with cloth. You can make small Tatami mat by yourself and get some photos which are taken when you are making and Photoshoot in local area around the factory after workshop. included Tatami workshop, small Tatami mat and 80-90 Photos are edited. At the beginning, we learn about Tatami at Japanese room in traditional house. Since the room is Tatami floored, You can feel it's smell and texture directly. Tatami look same everywhere in Japan but they aren't same and were made different place, different size and materials. You will be bale to many knowledges aren't known even Japanese from professional Tatami creator. Tatami creator family has been making Tatami at their factory is next to their house over 50 years. We observe the making of Tatami mats at the factory. They show you how to make it and you will experience the part of making Tatami actually. Now, let's make miniature Tatami mat!! To create your own Tatami, choose Here (The cloth ichi decorates edge part of a Tatami) from various choices. Creators teach you how to make and support you if you can't. It is easier than it looks. Everybody who aren't a big fun of making can make it!! Finally, we have a tea break with the Tatami mat you have just made. We use it to put a cup of green tea and Japanese sweets. Other than this, use it as photo board and something you like. Enjoy the break and feel the mind Japan!! After workshop, We walk around the factory. 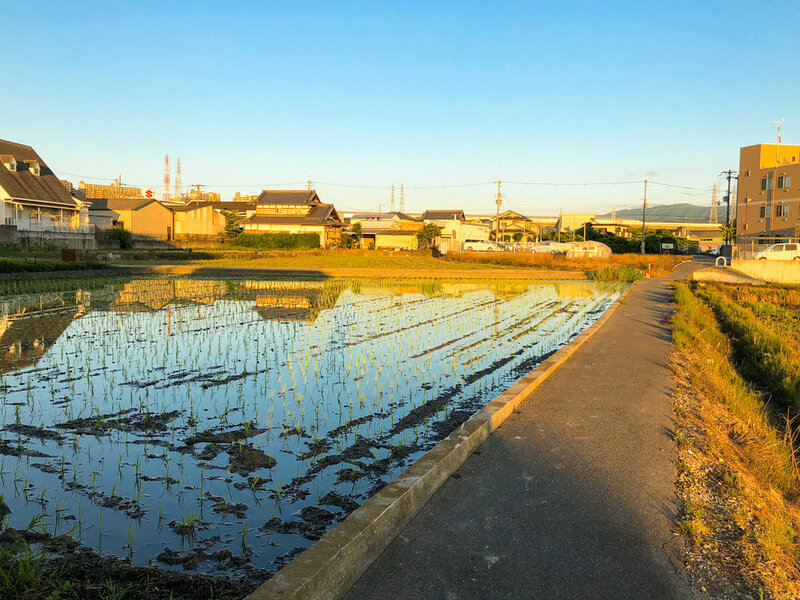 There are something we can't see in Osaka city like paddy fields, narrow paths and traditional houses. Professional photographer will take your photos with these scenery and you can get many photos include photos which are taken in the factory and edited in a week.